Before purchasing the first antique or classic boat that you find available, I recommend that you attend some boat shows. This will give you an opportunity to decide exactly what you want and speak to the owners about the merits of different styles of boats. You will be much more informed when the time arrives to purchase your own. Once you set out to acquire your own vintage boat, you'll find that prices vary widely depending on condition, rarity, originality and other factors. 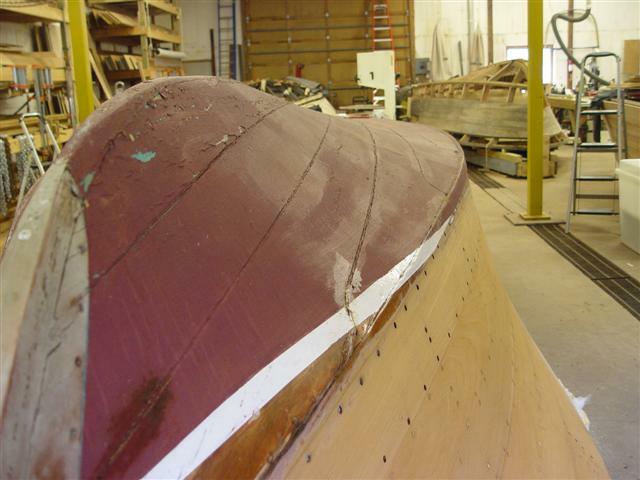 Any time you consider plunking down thousands, or tens of thousands, of dollars for an antique boat, it makes sense to get the opinion of a professional surveyor. Keep in mind that there are many wooden boats in use that have been marginally maintained with an emphasis on varnish and chrome, but whose framework needs the same attention as that of the gray boat. Those boats may look good, but you will probably find many broken fasteners. Unfortunately, it has become common wisdom that wooden boats are suppose to leak, supposed to swell up, before they can be used---this misunderstanding became the greater cause for their early demise. T he culprit of early hull ageing is over-saturation of the wood. As excess moisture soaks into the wood, it expands like a sponge, and causes the planks to buckle and warp, stretching the fasteners out of their tightened positions, elongating the screw holes, and cracking the planks. Where the plank edges meet the force of this expansion crushes the wood cells, referred to as "compressive set." 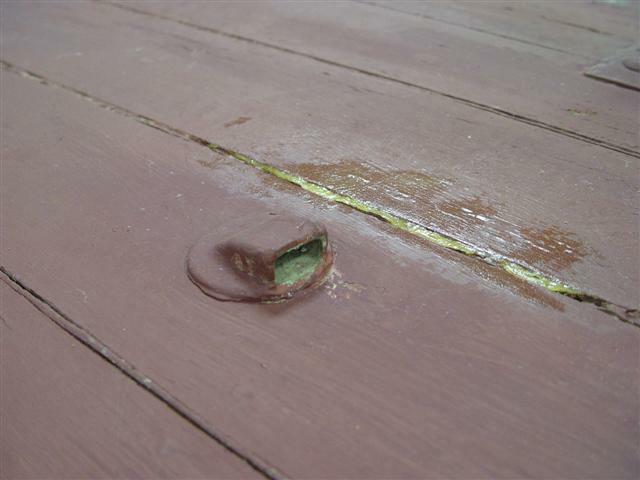 Once the hollow cellulose wood cells become compressed, they remain that way and this causes gaps in the plank seams. While in this condition, the still-watertight hull is over-tightened with wood weakened by water absorption. The flexing and pounding across waves stretches fastener holes even more, causing stress cracks in the planking and compressive set under the screw heads. 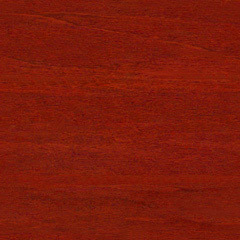 Should the moisture content of the wood climb above 25%, the rot spore already present in the wood will begin to grow. When removed from the water for winter storage, not only will the excess moisture evaporate from the hull, so will some of the wood's natural rot-preventive oils Due to both these losses, the planks contract slightly smaller than original size. Gaps appear whenever compressive set occurred at plank edges or frame landings or fastener heads. Not only does this leave the entire structure weakened and loose, the resulting gaps between planks and frames--as well as the plank seems---collect dirt, debris, and rot spore. Plus, such gaps hold moisture that never fully evaporates in storage, feeding rot spore growth. During the following seasons, the same conditions feed upon themselves as the hull requires more water to swell tight when more and more natural oils are lost and due to damage from compressive set. The increasing gaps collect additional dirt and debris, which causes even more spreading of the components and dislodging fasteners. These clumps of dirt and debris also hold moisture all season long and are the main source for rot growth. After enough seasons of this kind of abuse, the tropical hardwoods have lost most of their natural rot-preventive oils and the wood becomes brittle and lifeless. 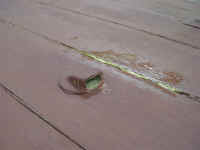 Like an unseen cancer, rot tendrils are growing throughout the interior mating surfaces of planks and frames. Manufacturers never intended these wooden boats to last for half a century. In 1931, Gar Wood put out a factory-to-dealer memo on the replacing worn-out bottom planks, after they had been producing wooden boats for for barely six years. The operators were told to keep the boat out of the water "when not in use," One simply cannot decide today that these boats can be treated as if they had fiberglass hulls, which we have also learned that after a few decades of use will absorb water and blister the gel coat if left in the water for extended periods. Clearly, there was an expected operational lifespan, after which repairs would be required. In short, a $15,000 purchase can very often require the same amount of work as $1,500 purchase for the same type of boat. Scary, huh? This is why I personally prefer the gray boat--I know exactly what I've got when I'm done. I know that nothing is hidden. So how do you figure out how much work a particular boat might take in order to rebuild it? One answer is marine surveyors, who can be located through marinas, marine insurance companies, and on the internet. The marine surveyor you choose should be certified. Costs for this service typically are in the range of $10 to $20 per foot of boat length. Your marine insurance company should also be able to provide you with a list of marine surveyors whose work they accept. Several magazines and books also cover the subject of determining the cost to rebuild a boat. Classic Boating magazine has been the bench mark in this area since 1984. Not only does it provide views of all different types and makes of wooden power boats. It also includes advertisements from parts suppliers, procedural and material advise for all aspects of boat operation, and classified ads that can prove handy. You can join organizations that will help you network your project.